You are here: Home / All Posts / Escape From Jesus Island is Coming! After months of planning and work, the Escape From Jesus Island project is coming to life! The project launches it’s all new website www.jesusisland.com tomorrow (a site designed by Savage1Studio and your’s truly!) and launches its Kickstarter proposal on July 28th! The site features information about the story line, characters, a huge gallery, a store (where you can purchase prints of both of the images on this post! ), some advanced information on the Kickstarter proposal (and insight into some of the fabulous rewards available!) and a blog where all the new information on the project will be posted. If you’d rather, you can connect with the project via EFJI Facebook or EFJI on Twitter. Here is a taste of that project. 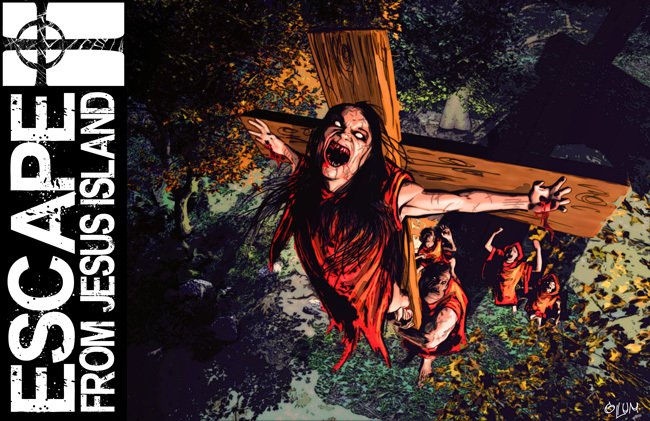 When the Vatican learns of Christ’s return and sends in an extraction team, all Hell breaks loose in this upcoming coming book series from illustrator Mortimer Glum and writer Shawn French. Christ Has Returned. A Lot. « Go Team Pop Culture! 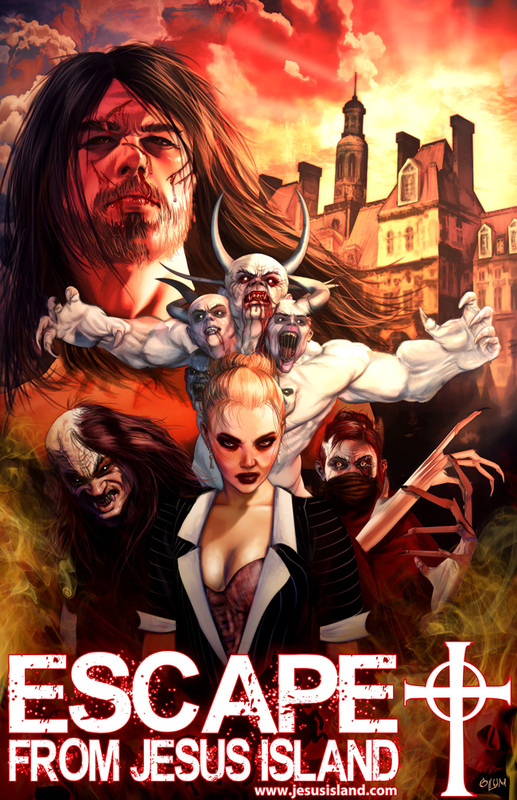 The art and story behind this graphic novel looks incredible! I can’t wait for the launch, and I hope it goes smoothly for you guys. Thank man. We’ve put a lot of work into this, and the Kickstarter goes live July 28th! So freaking excited!!!! Escape from Jesus Island looks incredible. I wish you guys good luck in the launch! Seriously, the art is amazing, and the story already makes me want to read it.